If you find that your ordered meal is taking a little long to serve, you may want to create sugar cube sculptures while you wait. Obviously that isn’t the case for Irish sculptor, Brendan Jamison. 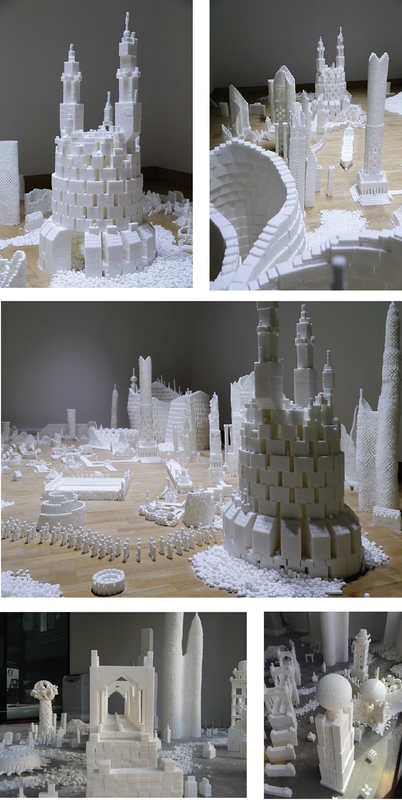 In 2010 he was commissioned to build sugar cube scale models of the Tate Modern and NEO Bankside for the London Festival of Architecture and has since become world renowned for these sculptures. You can see more of his work on his website and you can follow him here on Twitter and here on Facebook. Images: Courtesy of Brendan Jamison.